It means that you can add extra features and templates which are not available on your current theme or customize it by yourself without interfering in the theme directly. When you purchase our theme, you will be provided the child theme (excluding MicrojobEngine) which you can make changes to the CSS or add more functionality depending on your needs and exactly what you want to do with your site. 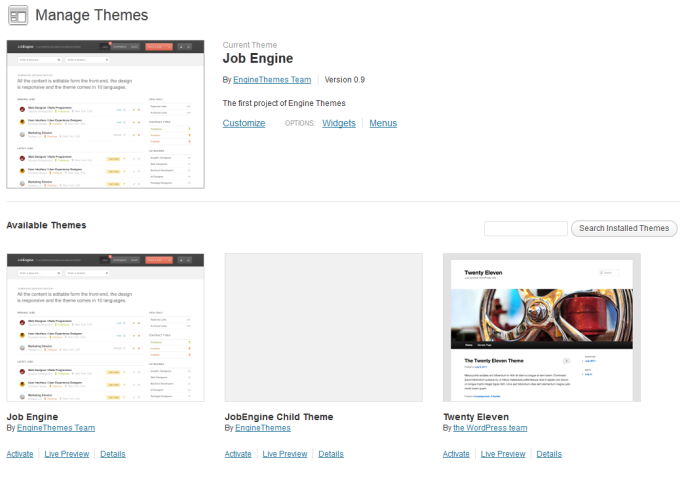 To download your child theme, login to your EngineThemes account and click on the Themes section. After that, you will be prompted a screen in which you can download the main theme, child theme, documentation, PSD files, and other free plugins. At that time, please click on “Download” button corresponding to the child theme (for customization purpose). When you downloaded the theme, please upload it to your server. Click Activate to set your Child Theme as your site’s current theme. You’re now ready to modify any function, feature or design. 3. Add new features or designs directly in the Child Theme files. 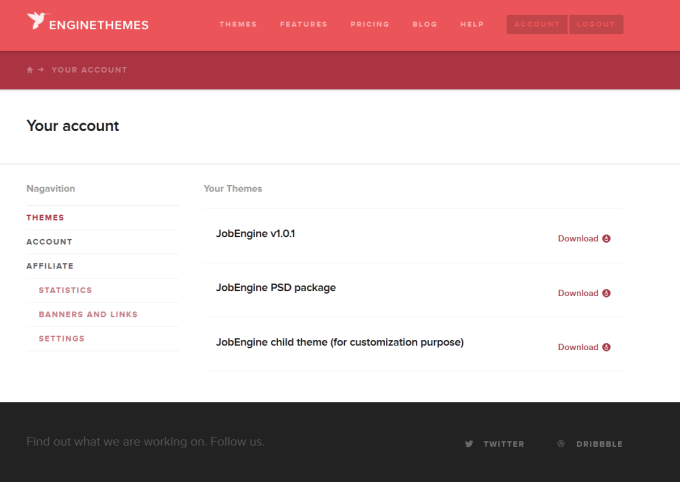 Please note that all customizations won’t be overwritten when you upgrade to a new version of your theme.